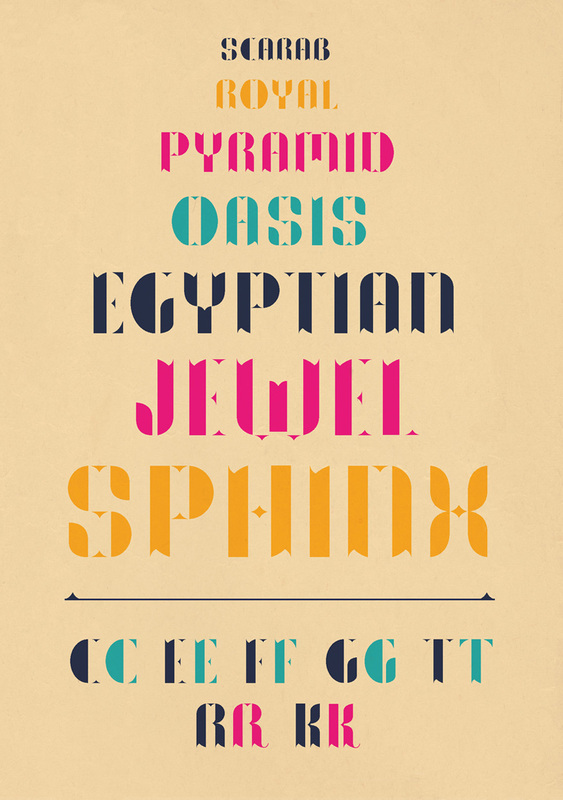 Titled 'Empress' for it's bright and bold Egyptian feel, the entire alphabet is constructed of only 4 shapes. 'Empress' was formed during a session with graph paper and pencil, playing with various shape combinations. As the key shapes became defined, a strong modular display font came to life. Conceptualised and drawn by hand and vectored for a sharp finish.